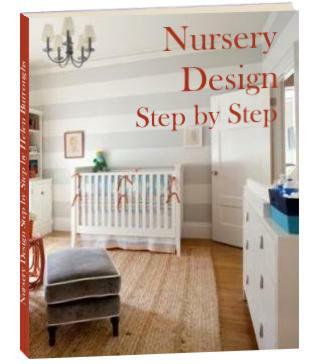 Ideas for Creating a Gorgeous Organic Baby Nursery Design for Your Baby. An increasingly popular nursery decorating option boasting natural, eco-friendly decor for the health and environmentally conscious mom. This nursery style has a clean, fresh appeal. Soft, earthy colors bringing the outside in. Think greens, browns and creams with splashes of yellow and lilac or blue. Furniture is simple and uncomplicated, made using natural materials, processes and finishes. Floors of hard wood, bamboo, cork or natural linoleum with no synthetic finishes. Natural fiber, rustic nursery rugs of jute, seagrass, sisal, wool or cotton. Simple painted walls with minimalist, clean wall decor. White or cream, high-quality organic baby bedding and fabrics with an organic crib mattress. Then shop for everything you need at Babyearth.com. They have a huge eco section including furniture, crib bedding, baby clothes and much more. They are by far the best eco-friendly baby gear store online - don't miss them! 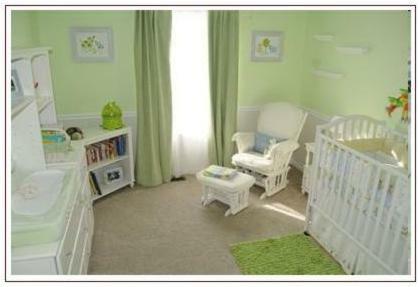 Don't forget to check out the baby rooms gallery for more green baby nursery decorating inspiration and ideas.